You’ll learn quickly that I have two obsessions in the kitchen: shortbread and tarts. 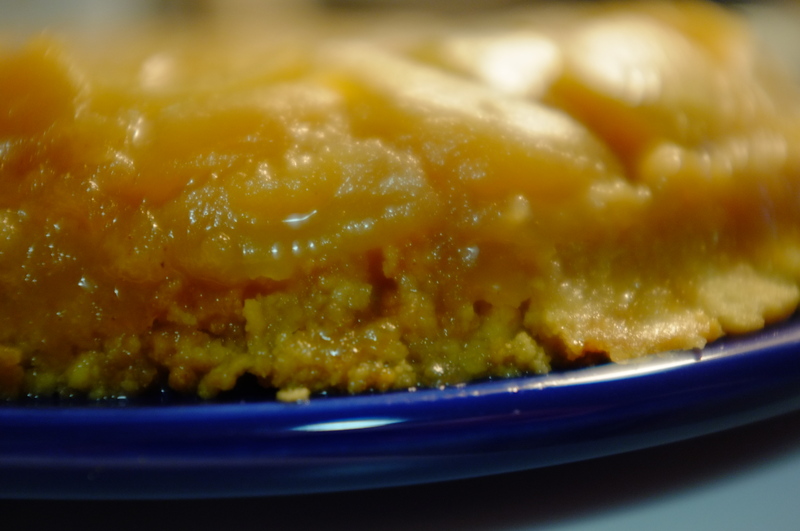 The Tarte Tatin was one very small peek into my love affair…but more on that later. 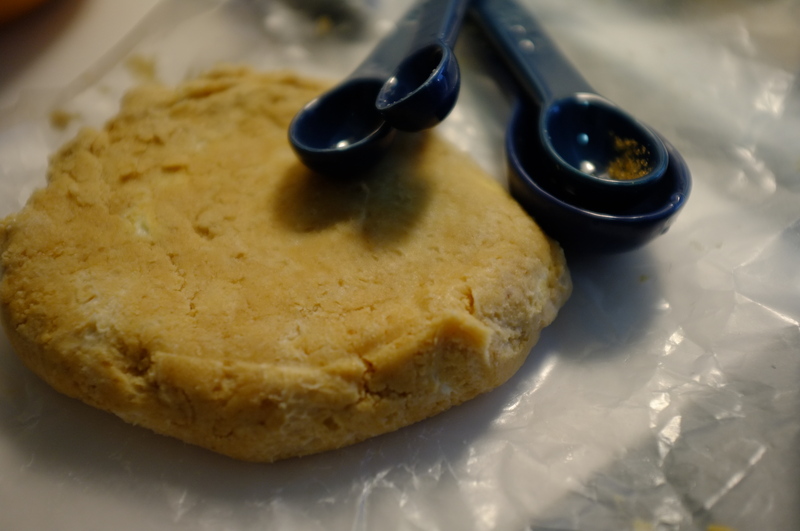 I’ve been trying for several weeks now to come up with the perfect base recipe to make all sorts of shortbread. There was the dangerously salty, the too bitter, the too healthy-tasting, the too crumbly. Thank goodness for roommates and co-workers who faithfully tasted and rated each batch. Now that I’ve finally landed on a good base, I thought I’d get a little more creative. I’m a sucker for chocolate. Mostly chocolate chunks. 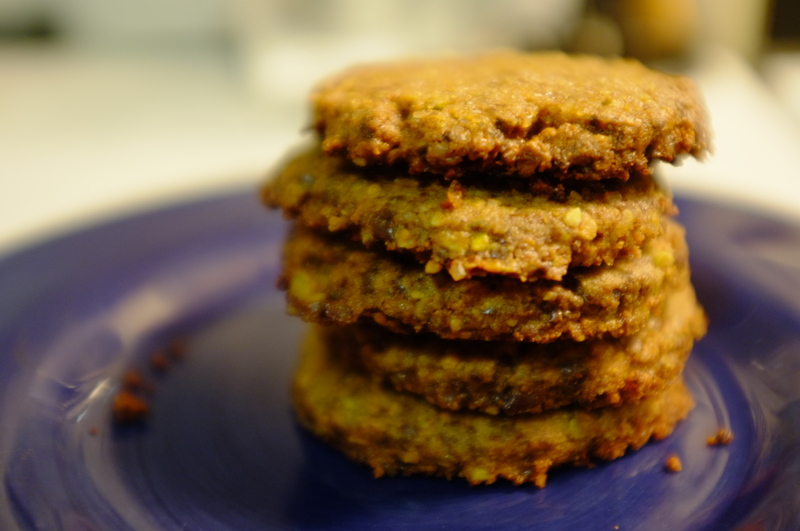 When all was said and done, what came out of the oven wasn’t quite the pistachio chocolate chunk shortbread I had imagined. 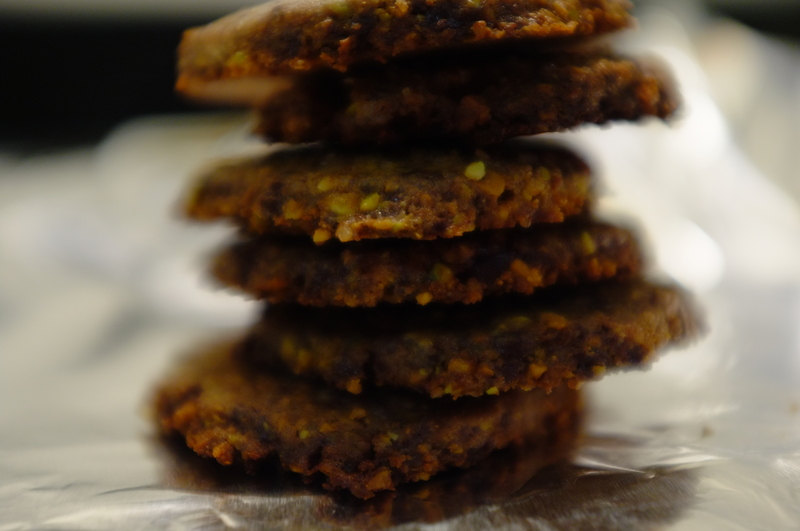 I got a little overzealous with my grinder and much to my chagrin, they suddenly became cocoa pistachio shortbread. Turns out, the mistake wasn’t so bad. 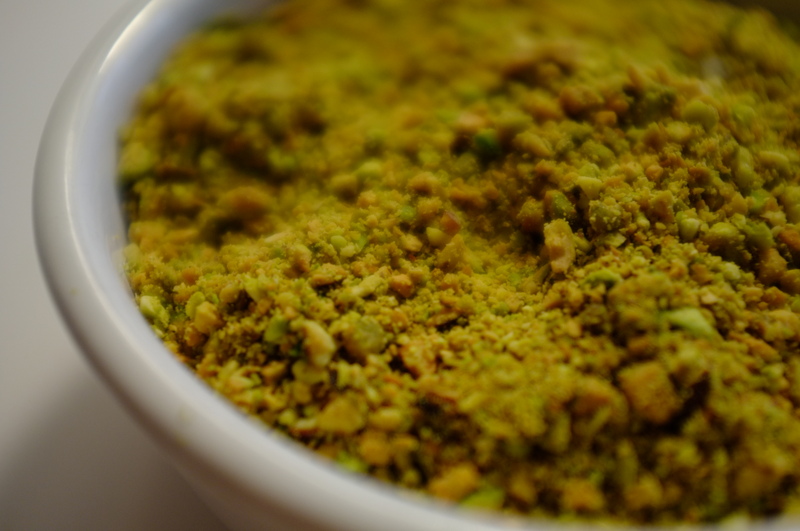 Grind the pistachios and the chocolate using a food processor. 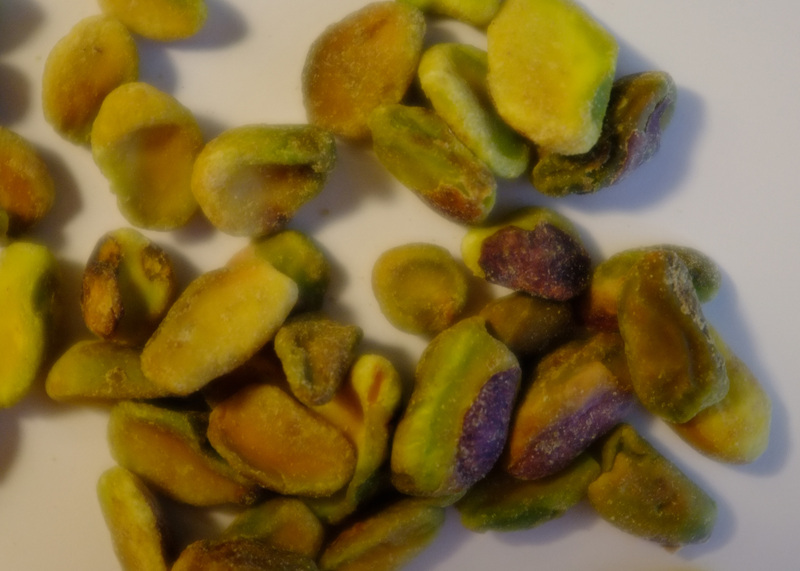 The size should be small and the texture coarse, but not powdery. Set aside. Set aside 1 tbsp butter. In a medium mixing bowl, cream the remaining butter and sugar. Add sea salt and vanilla to the bowl and add flour in parts. 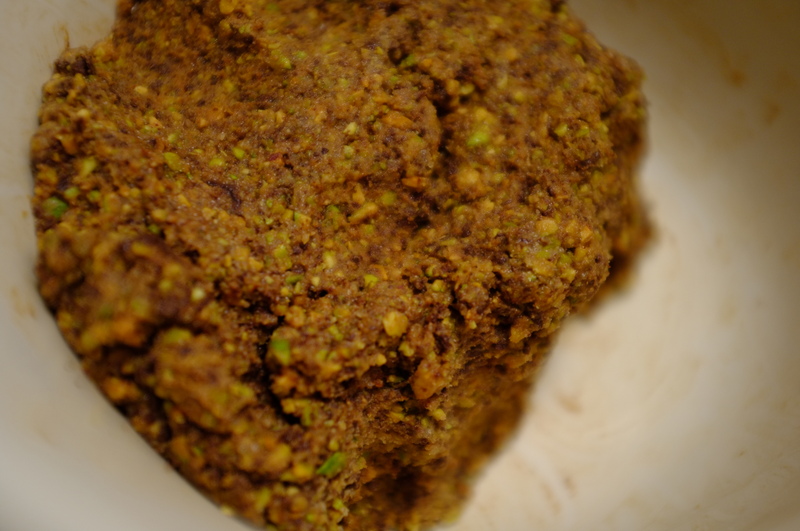 Once the dough starts showing the first signs of holding together, fold in chocolate and pistachio. I found that mixing this by hand was easiest. Take care not to handle the dough too much. 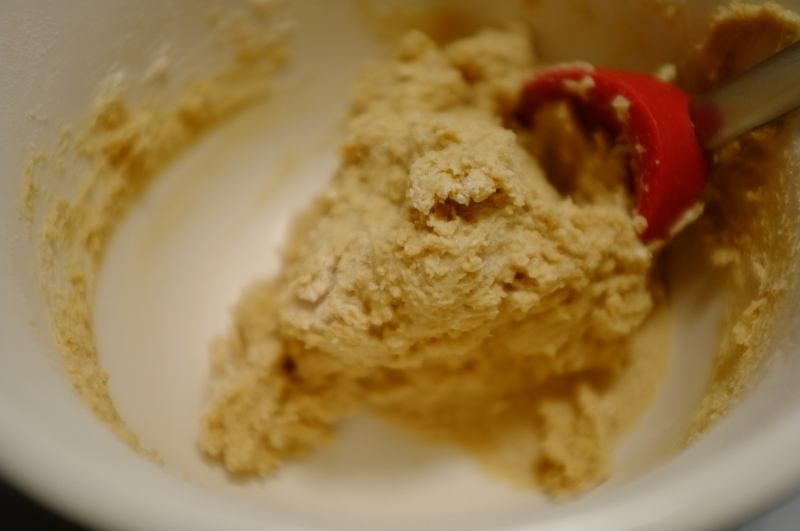 Continuing to mix the dough can result in a stiff or crumbly end result. Turn dough into a ball, flatten into a disk, wrap in wax paper or saran wrap and refrigerate for 30 minutes or up to 2 days. Preheat over to 350 degrees F. Roll dough out to ¼ inch thick, using plenty of flour on a counter surface and rolling pin to avoid pieces pulling apart. Cut cookies with a cutter and place on a cookie sheet greased with remaining tablespoon of butter. Before placing in oven, generously sprinkle turbinado on top of each cookie. Bake for 8-10 minutes. Remove from pan immediately and allow to cool completely before serving. It’s a dreary Saturday morning and you’d do anything to stay under your quilt, read a book, and doze back to your dreamland. Mine is usually filled with chocolate chip banana pancakes and hot cocoa, but for some reason, I got the itch for bacon and bleu cheese. And we all know, when you want bacon, there’s no remedy. 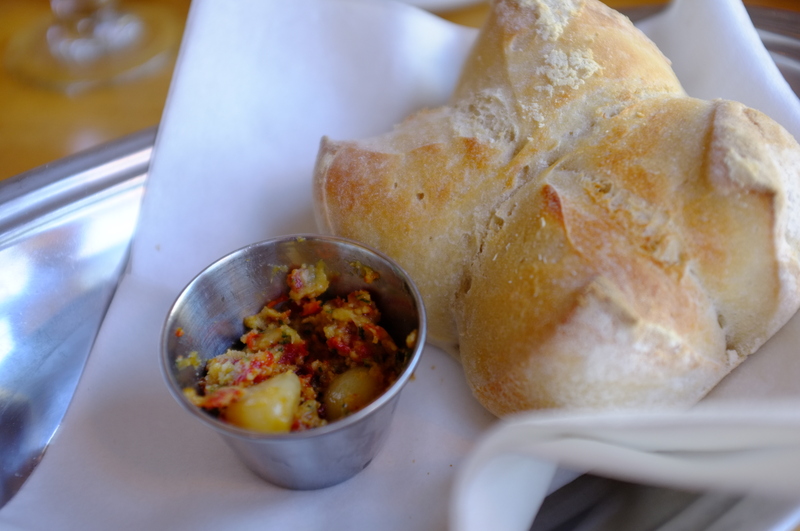 My neighbors and I have a weekend brunch ritual that takes us to St. Arnold’s – a fantastic Belgian mussel joint in DC. It has become our Central Perk, our MacLaren’s, our Cheers. We always sit down with Annette, your classic diner-esque waitress with a tough exterior we’ve come to adore, and throw a few jokes around with Bruce who runs the place. What’s not to look forward to? But this weekend, between our sleepiness and overzealous indulgence in a West Wing Marathon, we just couldn’t make the trek. Instead, we pulled some random ingredients out of the fridge and I put my hands to work on some oeufs en cocotte. If you have spent much time on pinterest, you surely aren’t new to egg cups. You can use a muffin tin or any other small oven-proof container. Since one egg really isn’t un oeuf, I chose to use ramekins and fill mine with two eggs each. Cook bacon and remove from the pan just before it gets crispy. Chop into ¼ inch square pieces. Set aside. Caramelize the chopped shallots in a pan on low heat. If you can easily remove most of the grease, use the same skillet you did for the bacon so that the shallots absorb the flavor. Use butter or canola oil to grease the ramekins. Put the shallots and part of the bacon in the ramekin. 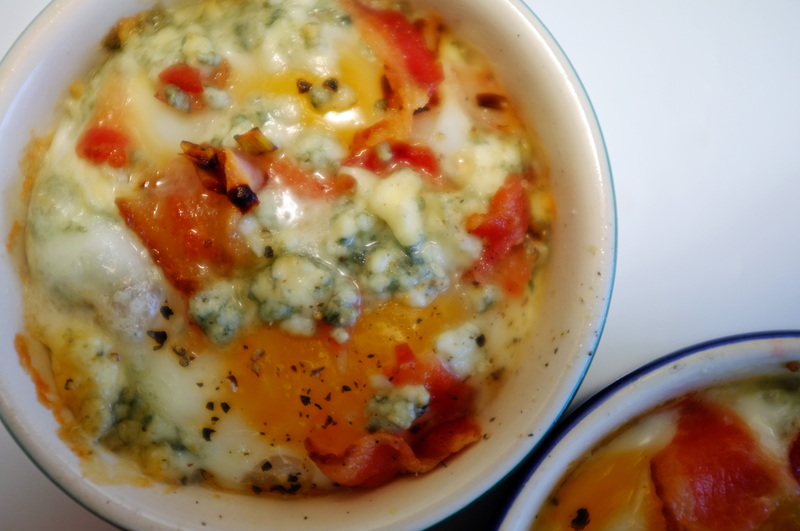 Crack an egg into the ramekin, then layer in a bit more of the bacon and about half of the bleu cheese. 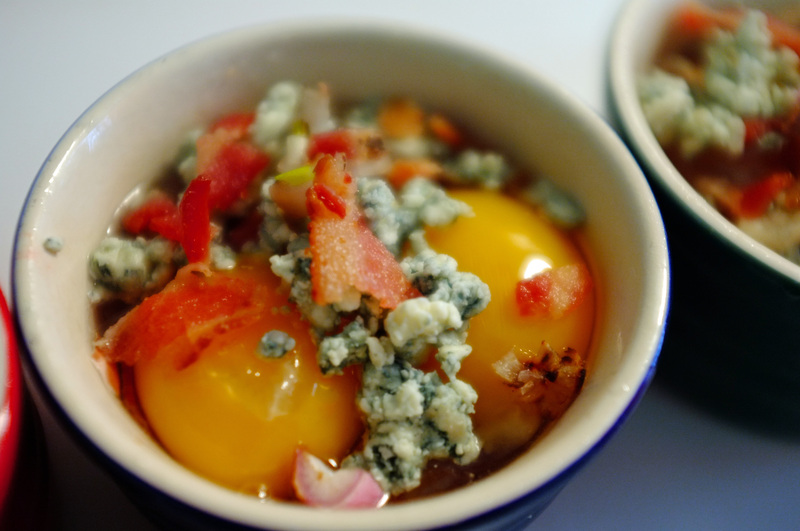 Crack the second egg into the ramekin and top with the remaining bleu cheese and bacon. Finish with salt and a heavy handed amount of pepper. Place uncovered in the oven and cook for approximately 14 minutes. The eggs will be shiny on top, likely appearing unfinished. Trust me, they are. Remove, let cool for just a few minutes and enjoy! My family and I recently returned from a trip to Block Island – a small destination off the coast of Rhode Island only reachable by ferryboat. We’ve been making the trek nearly every year of my life to spend some time with one another, the beautiful nature surrounding us, and snag some moments away from the busy demands of everyday life. This year’s trip was especially relaxing and, of course, filled with delectable meals each night. 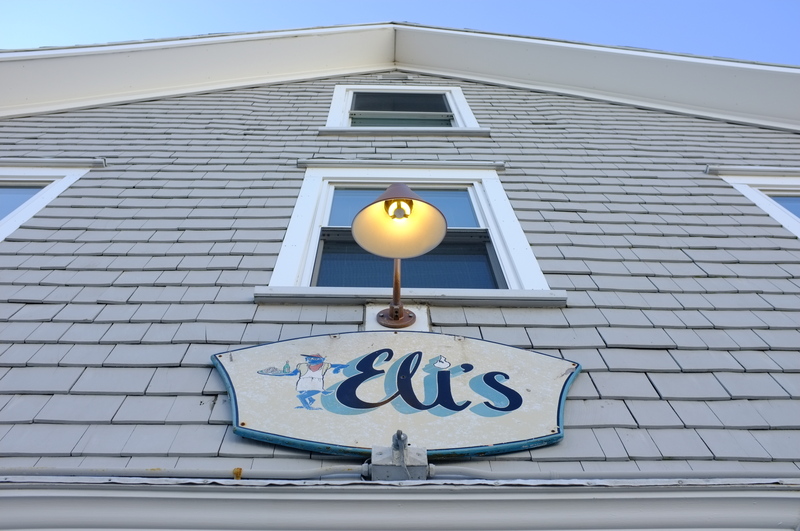 Eli’s is one of our faithful standbys. We have yet to be disappointed by this unassuming little spot. What delighted me even more than the delicious fresh seafood meal was the sundried tomato and garlic spread that began our meal. The rustic and savory taste set it apart from similar dips and plain butter that typically kick off a meal. This pairs best with a crusty but soft and buttery-tasting bread that pulls apart without much effort. I made a few adjustments to mine so that it served well at a gathering. While the look is different, the flavor is similar. First, you’ll need to roast the garlic. 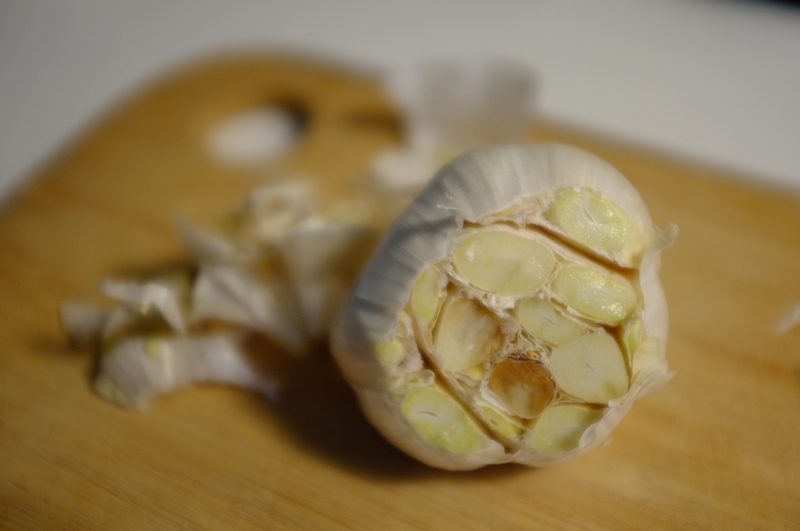 To start, you’ll need to cut the top of the garlic bulbs so that the cloves inside are exposed. 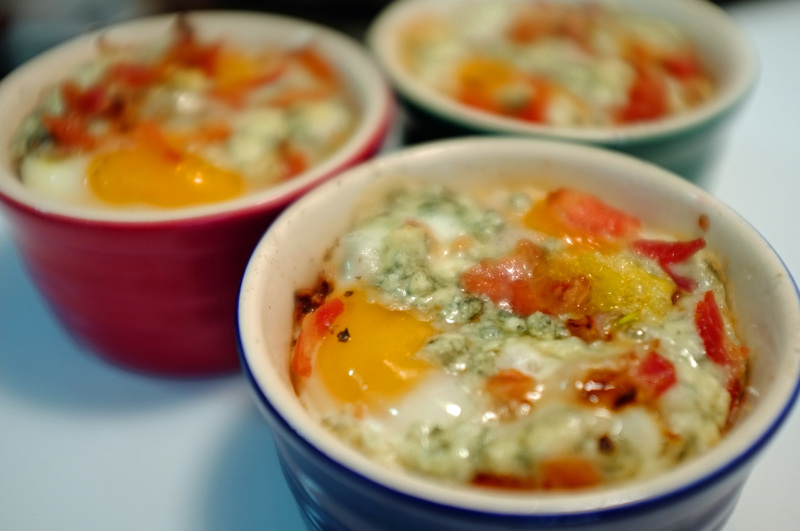 Then, place the bulb in an oven-proof container – a ramekin or even a muffin tin will do. Drizzle with olive oil and top with cracked pepper and sea salt. Cover with foil and place in a 375 degree oven for 45 minutes. After the garlic cools, the cloves can be peeled out very easily. 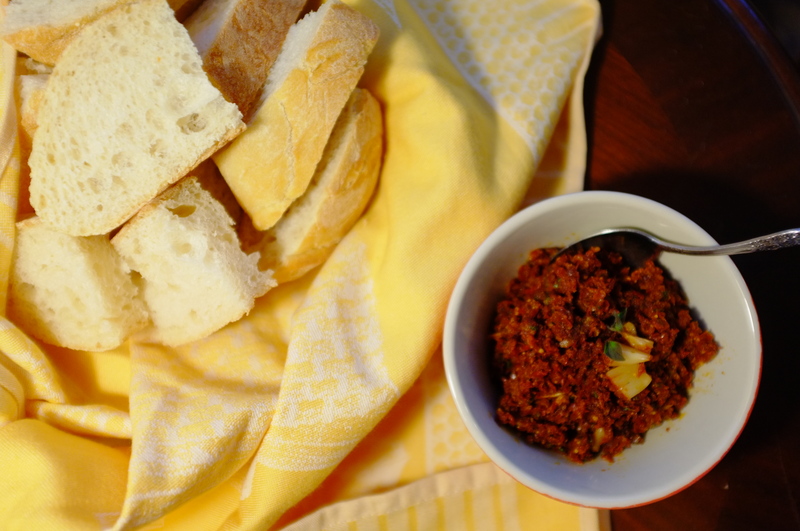 Remove the sundried tomatoes from the jar and reserve the olive oil. Use an immersion blender to mince the tomatoes into small pieces. 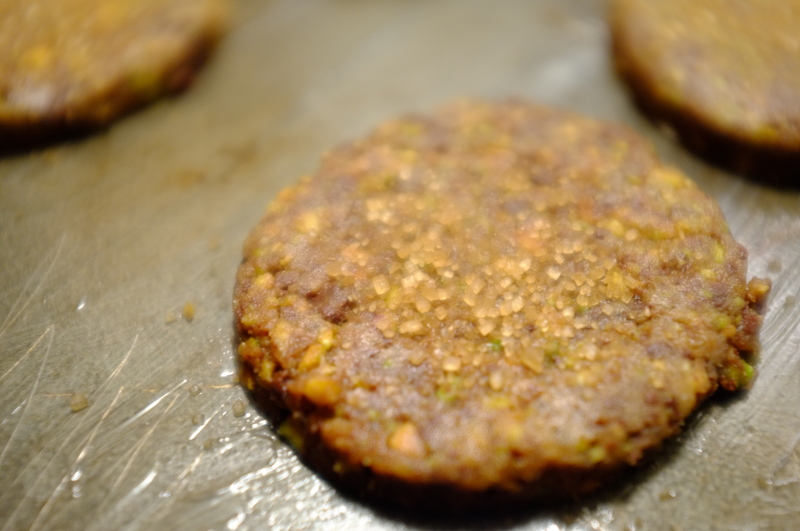 If you don’t have one available, you can use a regular blender or finely chop the ingredients with a knife. 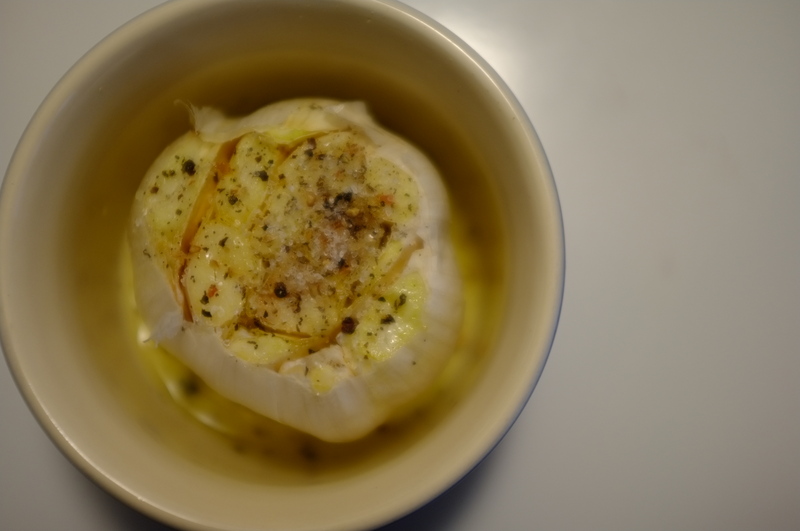 Remove the roasted garlic cloves from the bulbs. Reserve about ¼ of the cloves. 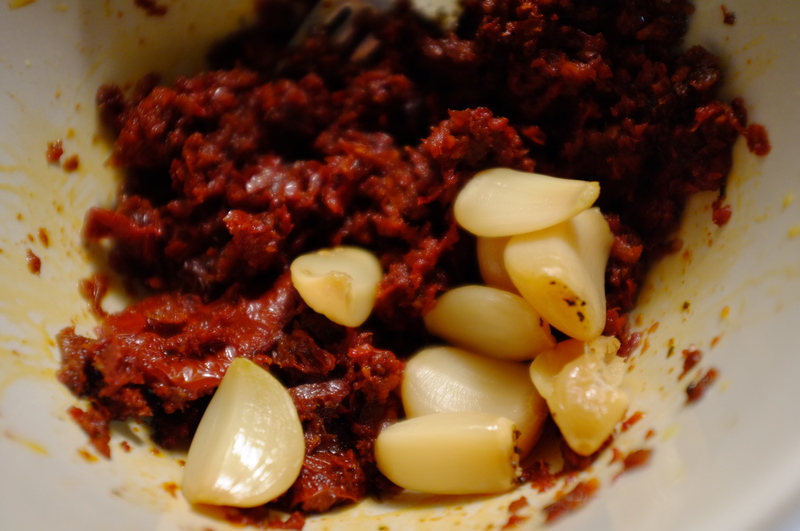 Mix the garlic and oregano into the tomatoes with the blender. 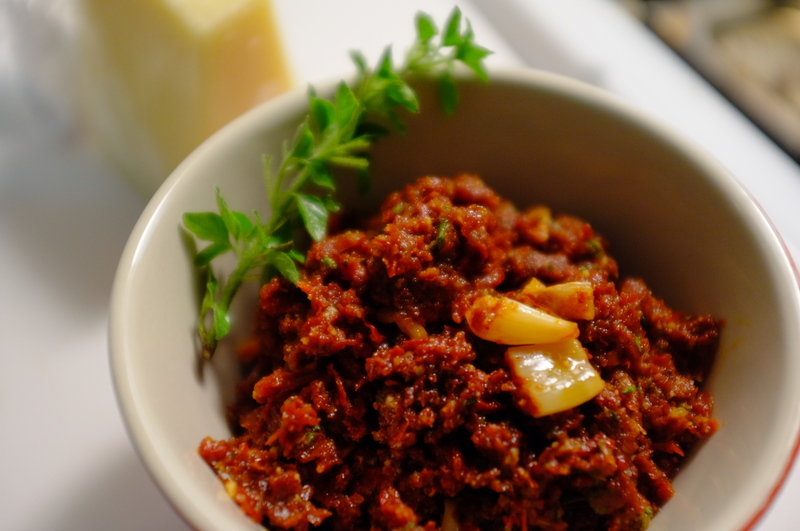 Add a tablespoon of olive oil reserved from the jar of sundried tomatoes and the finely grated parmesan. Fresh parmesan will provide the best flavor. Mash the remaining cloves (just in half for best results) with a fork to provide a chunkier texture and gently stir in to finish. 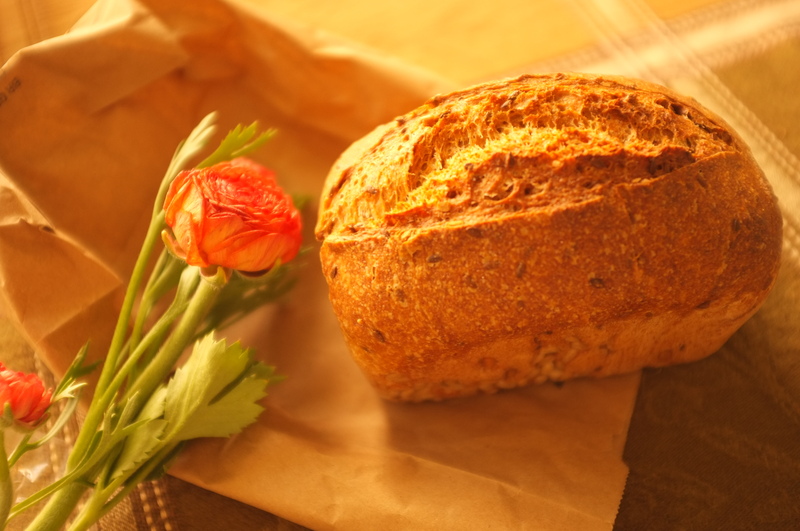 Serve immediately and enjoy with artisan bread or refrigerate for up to 3 days. 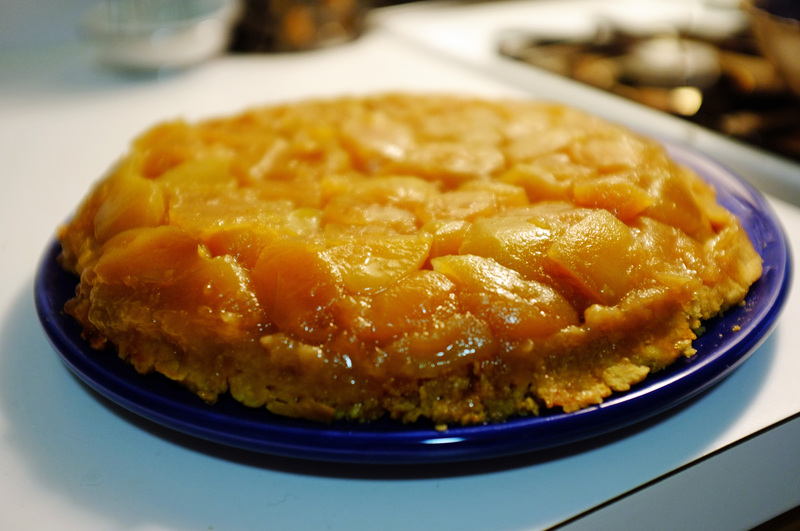 I’ve always had a special place in my heart for Tarte Tatin. 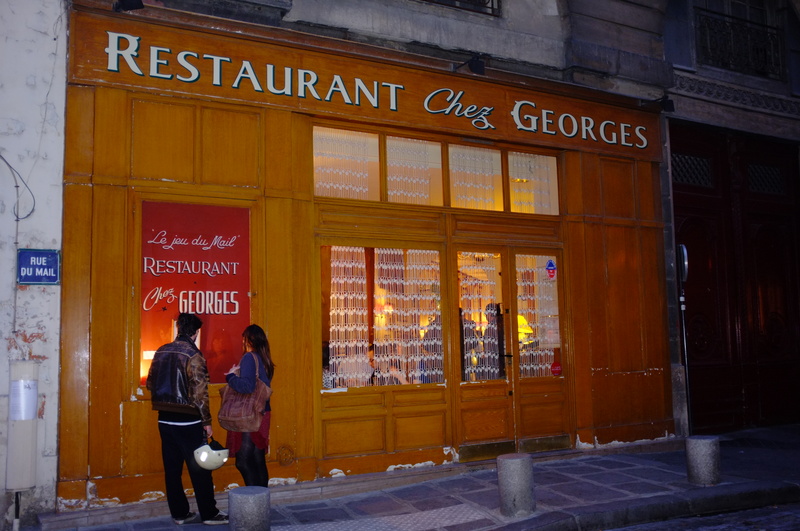 But when I dined at Chez Georges, I didn’t know what I was in for. 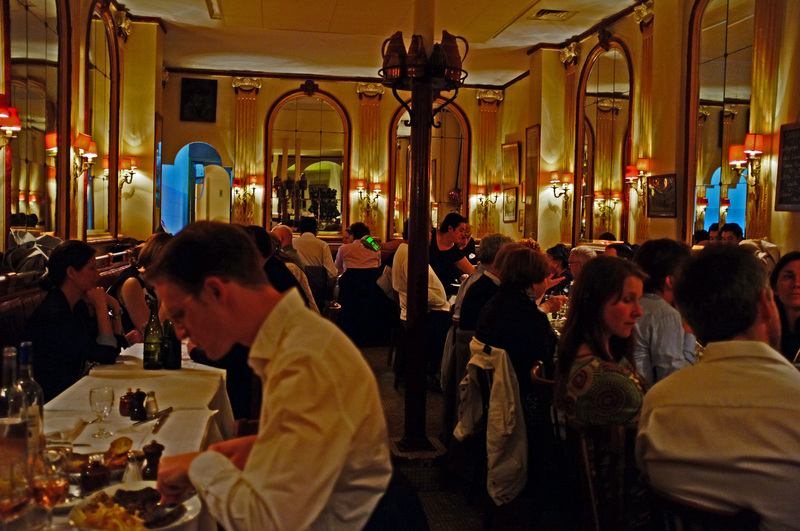 This traditional French bistro located in the heart of Paris does it right. While I can’t claim to have replicated their superior dish, I’ve tried my best to come up with a substitute that will tide me over until my next Parisian adventure. Most recipes call for a mixer to make the crust. 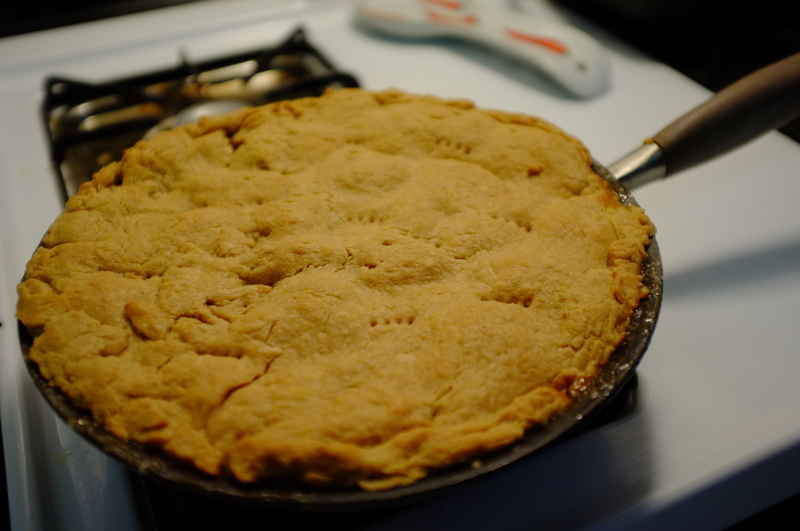 Instead, I use a simple crust mixed by hand. The trick is to use the coldest ingredients possible (without being fully frozen) and to only use your fingertips when mixing. Palms are too warm and will cause the dough to stay separated. I prefer the taste and consistency of Turbinado sugar and whole wheat pastry flour, but white sugar and all-purpose flour will do. 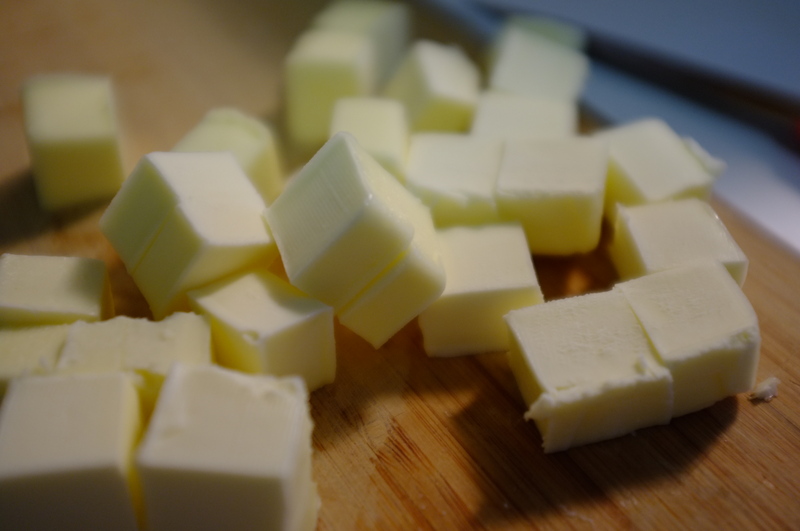 Start by cutting the butter into cubes. Separate and place in freezer for about 20 minutes. Mix the flour, sugar, and salt in a bowl. Remove butter from the freezer and place in the bowl with the flour mixture. Use your fingertips to pull the butter and flour together until pea-sized pieces have formed. Add the water in small parts until the dough begins to form together. As soon as it holds together, mold into a ball and flatten into a round disk. Do not handle dough too much, otherwise it will begin to fall apart. Place in the fridge until ready to use. Be sure to use an ovenproof skillet – either nonstick or cast iron. Peel and core the apples. 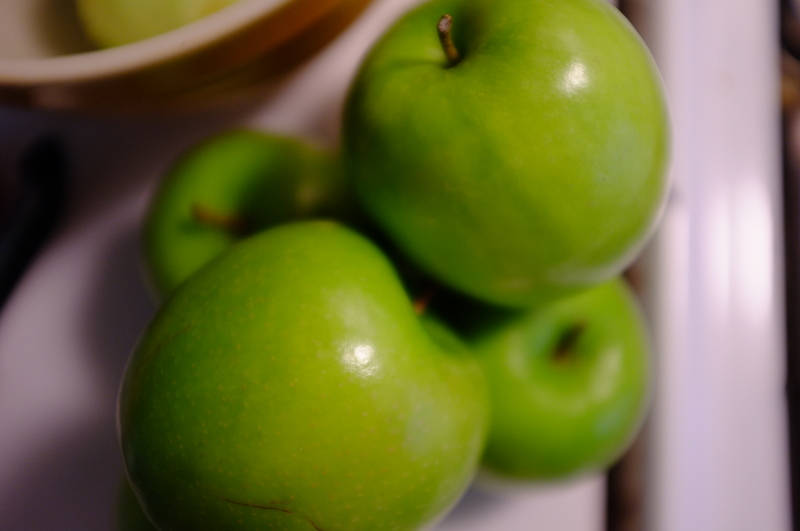 I chose Granny Smith in this case, but when apples are in season, try any firmer variety from your local farmers market. 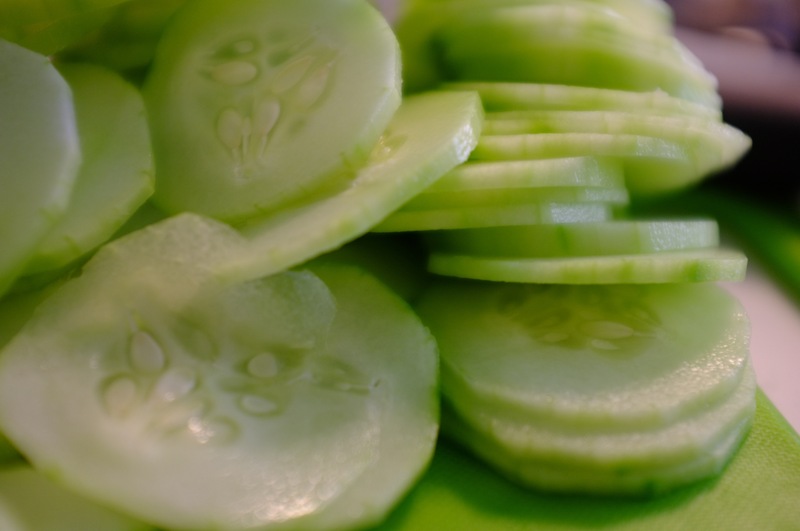 Cut into pieces, no smaller than 2 inches in diameter. Melt the butter in the skillet. Spread sugar over melted butter and stir over low heat as the butter and sugar begin to caramelize. Allow the butter and sugar to bubble, but do not bring to a full boil. Continue stirring until the mixture appears smooth and slightly thickened. Spread the apples into the skillet. You’ll want to arrange the apples with as few gaps as possible. 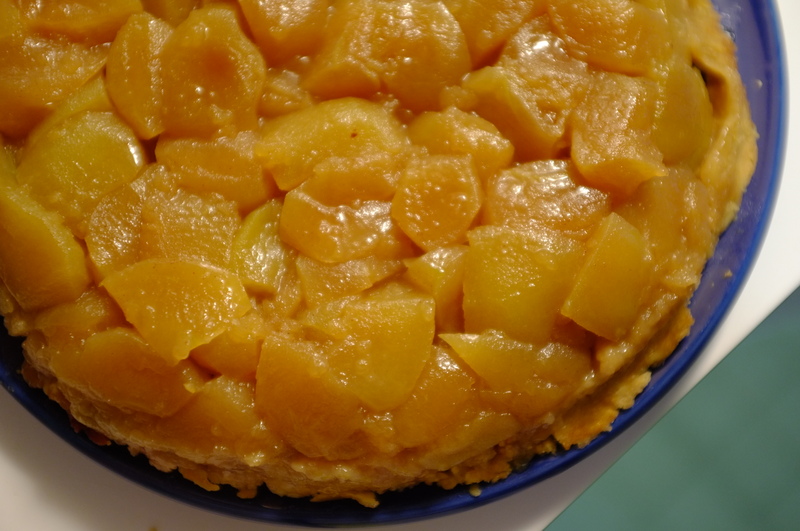 Tarte Tatin is a rustic dish, so embrace the imperfections. I found that while pressing the apples together layer by layer with a spatula worked well. Turn the heat up to medium. Allow the caramelized sugar and butter to boil up through the apples. This should take 10-15 minutes. 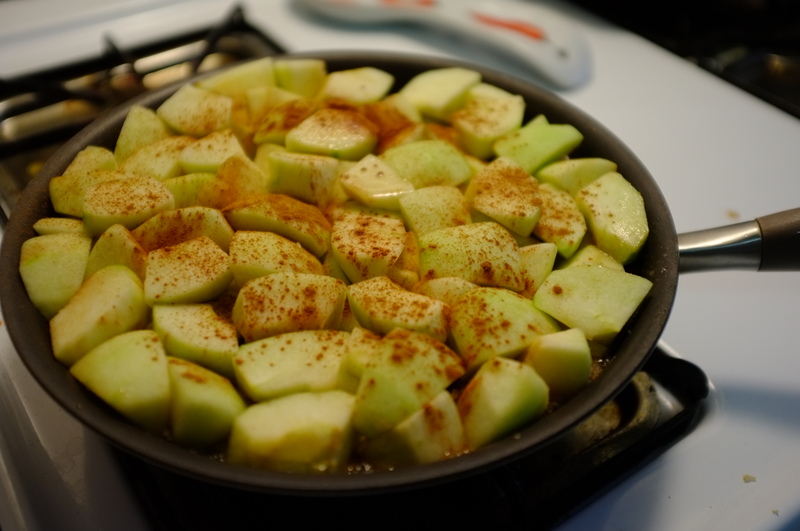 Drizzle almond extract over the apples and sprinkle cinnamon over the apples. Remove from heat. 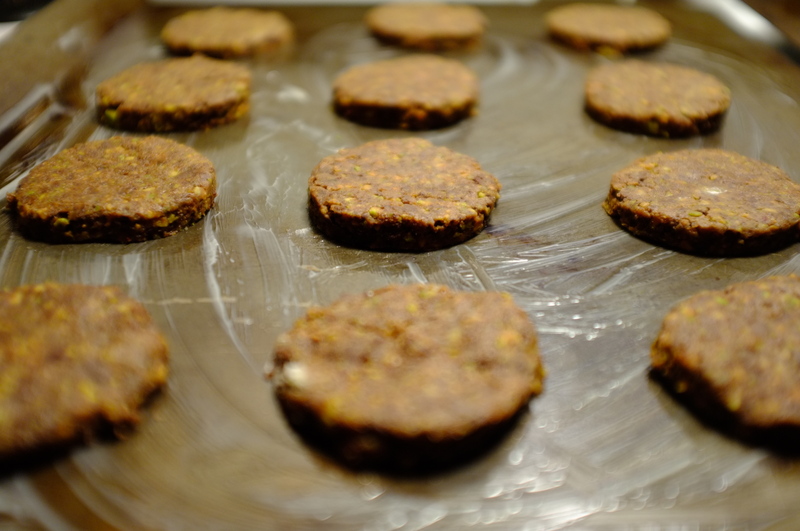 Remove the crust from the fridge and roll out to a thin disk that will fit over the skillet. Cover the skillet with the dough. Use a spoon or knife to tuck the edges into the skillet. Be careful! The pan is hot. Poke a few holes in the surface with a fork. Place in the oven at 350 degrees Fahrenheit for about 30 minutes or until dough is golden brown. Remove from oven and place on a cooling rack for about 30 minutes. Use a knife to free the edges from the rim of the skillet. 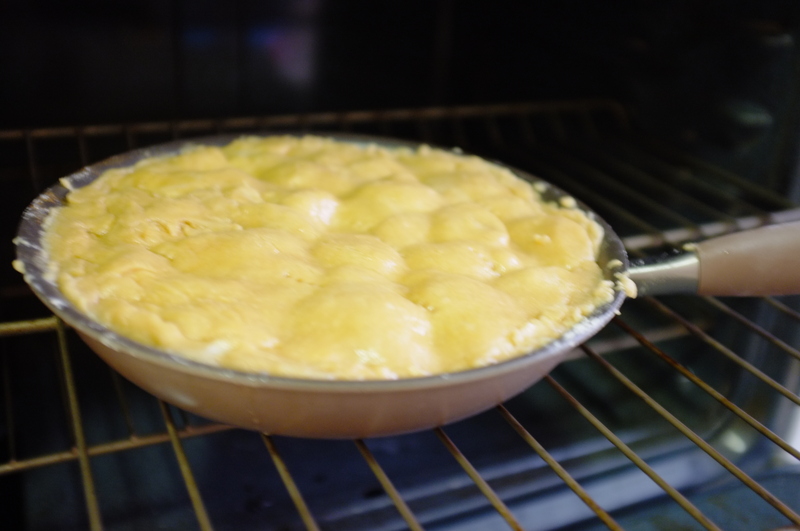 Place a heat-safe plate on the top of the skillet and flip the tarte onto the plate. Serve with ice cream or Chantilly Cream. Enjoy! Countless women around the world love babies but dread the awkward games and endless ceremonious unwrapping of car seat paraphernalia and breast pump accessories that accompany baby showers. This past weekend, my roommate and I successfully escaped the cliche and hosted a small gathering which fused the traditional English tea with a simple family gathering to create a wonderfully enjoyable and casual event in anticipation of the new little one, fondly called “Critter” until the delivery day. 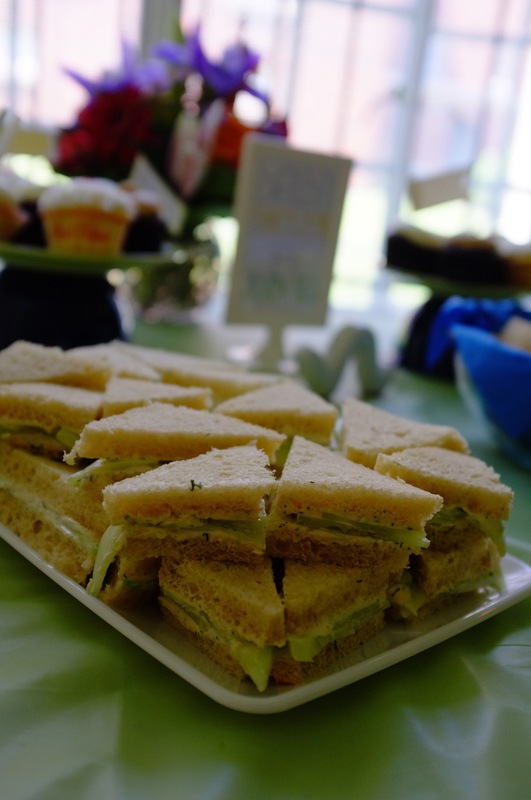 Amongst scones, punch, lemonade and cupcakes, the cucumber sandwiches were a hit. Why? (You might ask of a snack that is typically quite bland.) 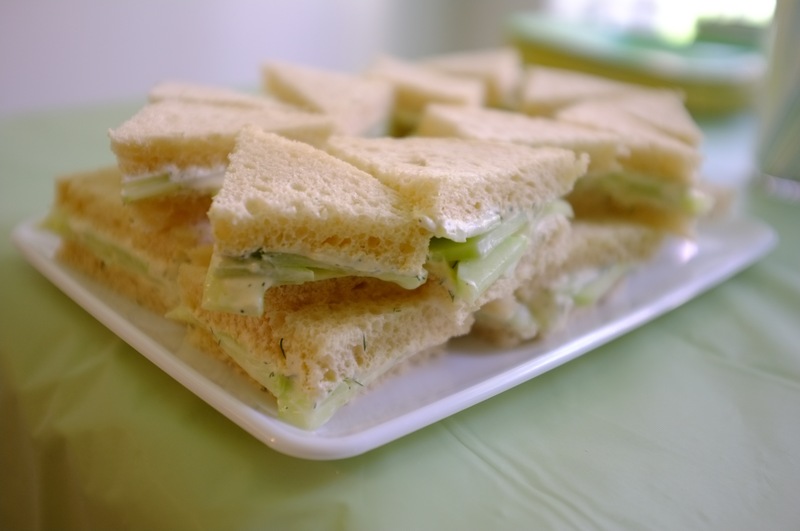 This wasn’t just any cucumber and cream cheese slapped on Wonder Bread. I took some time to dress up the spread which, to my delight, proved to be a bit addictive to our guests in attendance. In a medium-sized bowl, combine crushed garlic and olive oil. 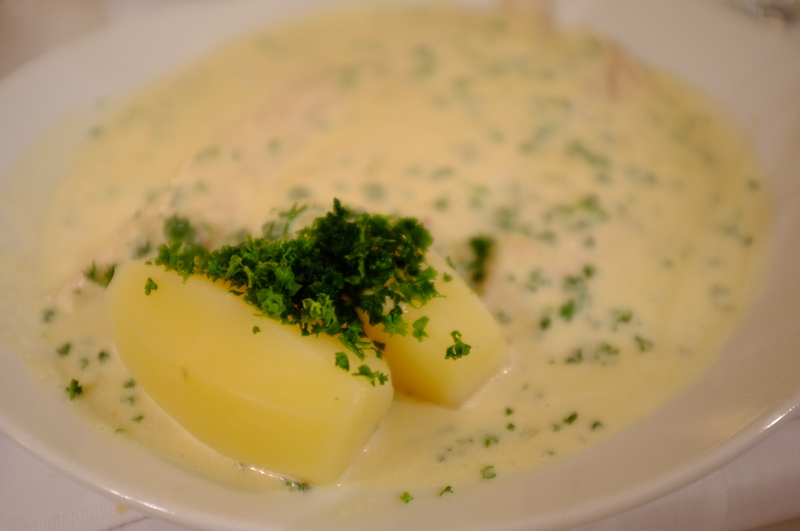 Place Neufchatel cheese and Greek yogurt in the same bowl and stir until Neufchatel is softened. 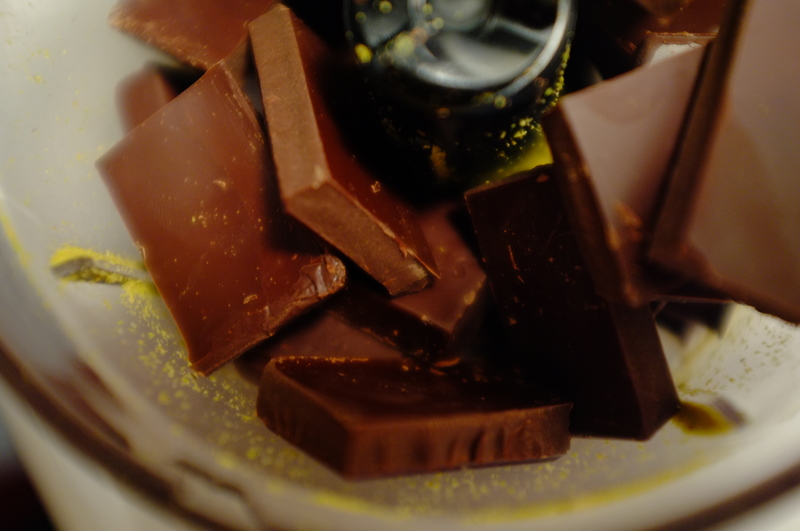 Use an immersion blender to combine the ingredients to build a whipped consistency. Gradually add fresh dill, paprika and sea salt while blending. Add more dill to flavor if preferred. Imagine a beautiful spring day, 65 degrees, warm sun on your face, the sound of birds chirping from the tall trees above and the comforting buzz of traffic on the winding city street you stroll down. 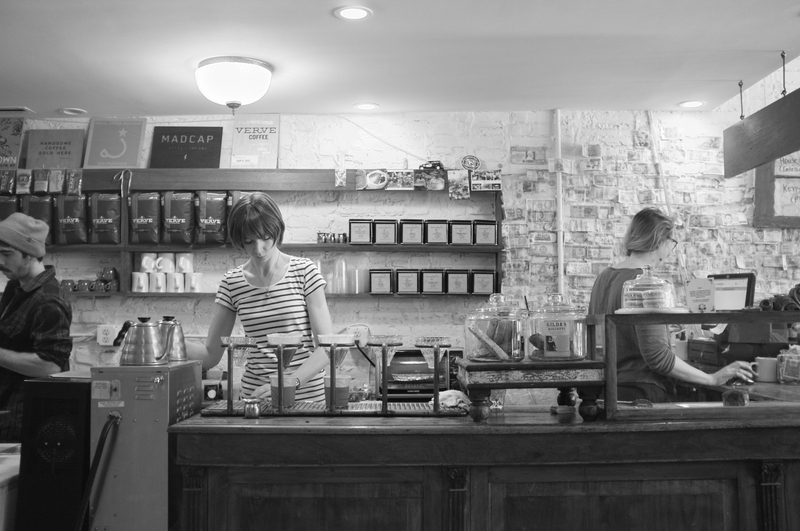 You are surrounded by Beaux Arts buildings, coffee shops with eclectic farmhouse furniture, and couples with dogs out for their Sunday morning routine. You’d think you were in Paris, London, Vienna – anywhere but Washington. My favorite is, of course, the bread from Atwaters. I highly recommend the sunflower flax. Just down the way, you’ll find milk from the grass-fed cows at Clear Spring Creamery that is so rich even the skim is tasty. After making your way past the fresh apples, lettuces, and veggies, you’ll find yourself stopping to indulge in cheese charcuterie samples. 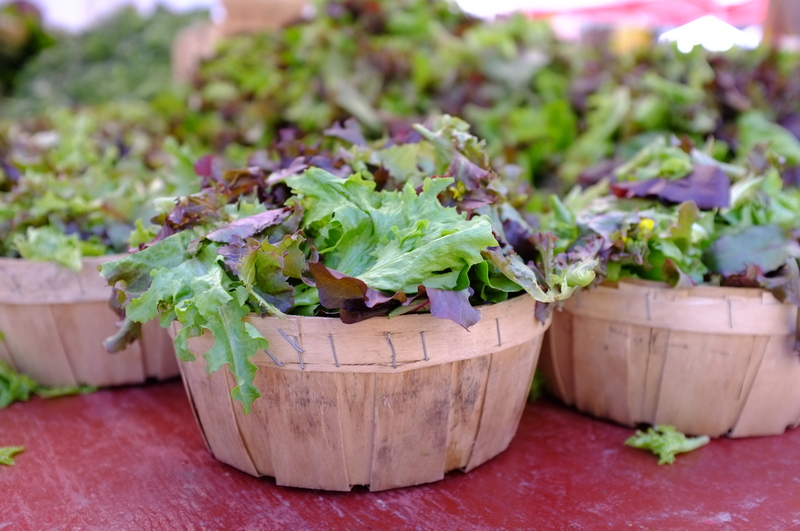 Make sure you save room for EcoFriendly Foods, which is conveniently located next to FireFly Farms – a creamery produces perhaps the best bleu cheese in the area. 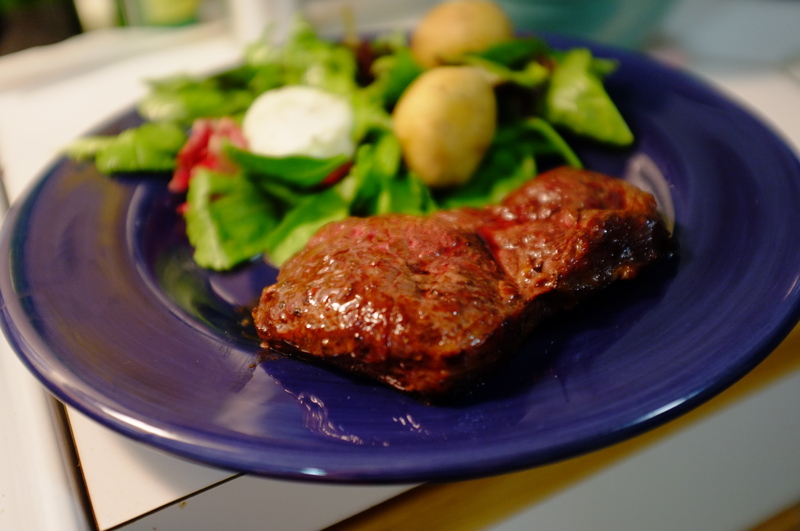 In my quest for a traditional homemade Sunday night dinner for one, I elected to snag a local grass-fed cut of Delmonico Steak from Country Pleasures Farm and paired it with a vivaldi potatoes – a faithful and buttery stand-in for fingerling – courtesy of Tree & Leaf Farm for thirty cents. Yes, I said 30 cents. Check out the outcome here. Before you leave, be sure to stop by Farmhouse Flowers & Plants, where you can select a unique and gorgeous bouquet made by grower Dave Dowling or make your own from his assortment. 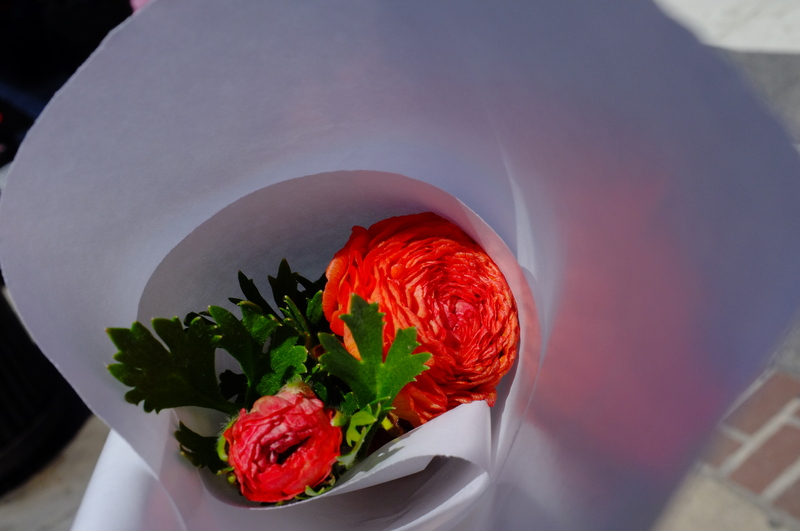 I snagged myself a precious three-budded single stem of ranunculus just to bring a little cheer throughout the week. If you choose to go the picnic route, take your pick of pastries and fresh fruit and make your way into the circle to enjoy the lush grass and tulips of late April. On your way out, stop by Dolcezza for their renowned affogato. 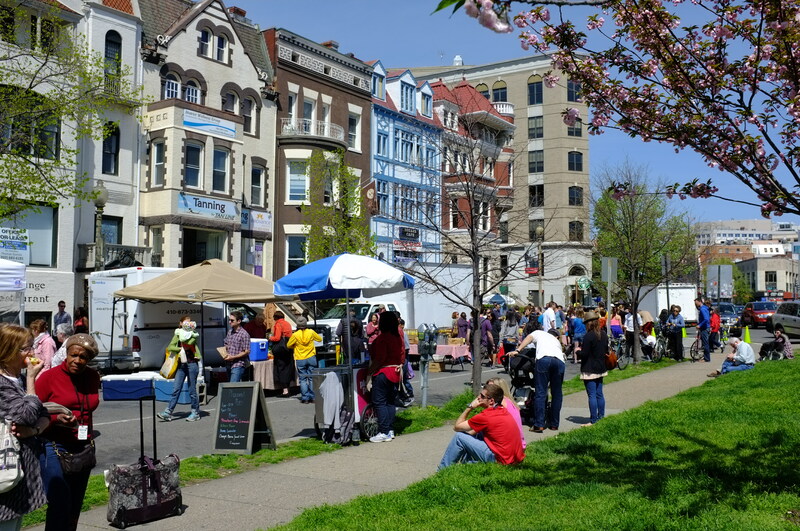 Nothing says spring in DC more than cherry blossoms and the reopening of neighborhood farmer’s markets. 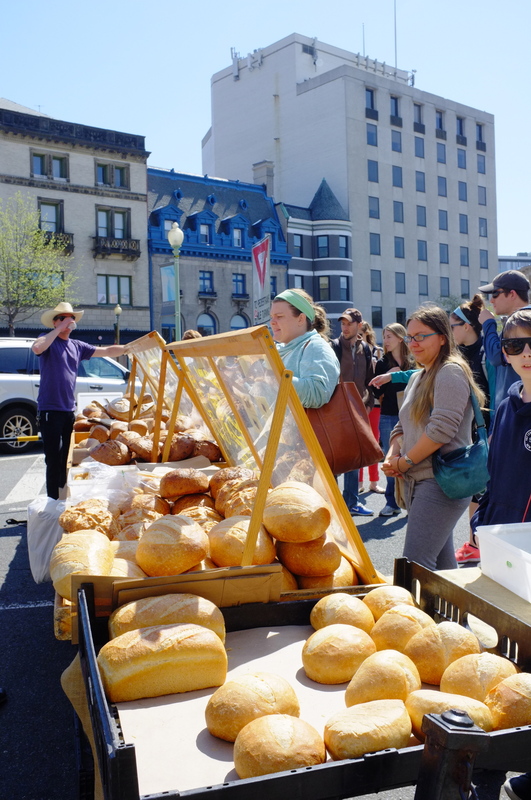 This past weekend, I ventured to Dupont Circle on Sunday morning to scope out the season’s best produce and cobble together a home-cooked dinner for one to enjoy with my favorite bottle of red. After putzing through the market trying nearly every cheese, meat, and apple sample I set my eyes on, I settled on a beautiful local, grass-fed Delmonico Steak and managed to pick up some Vivaldi potatoes which much to my surprise were a buttery and delicate stand-in for fingerling potatoes in my side salad topped with a poached egg. Whisk the Cabernet, olive oil, garlic and mustard together until it holds. Add seasonings and stir. 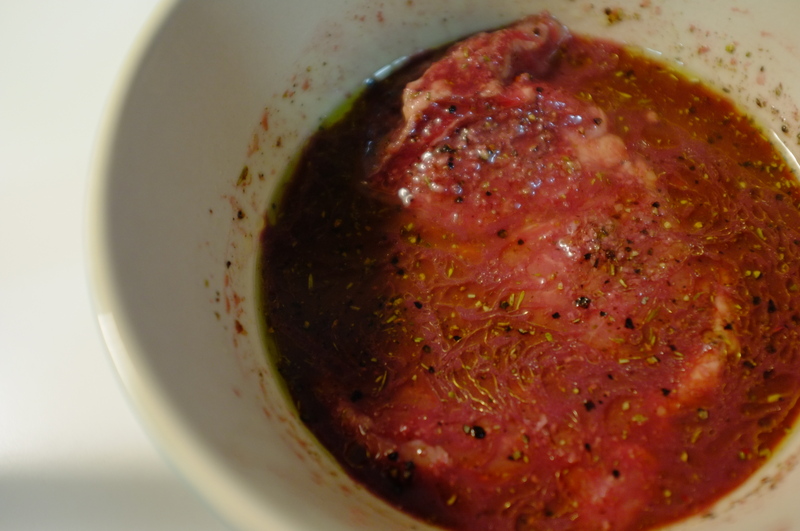 Marinate the steak for at least 2 hours or up to 12. The trick to a juicy and tender steak is searing both sides for about 30-60 seconds at an extremely high temperature, then finishing it off in the oven. Times will vary depending on the cut. 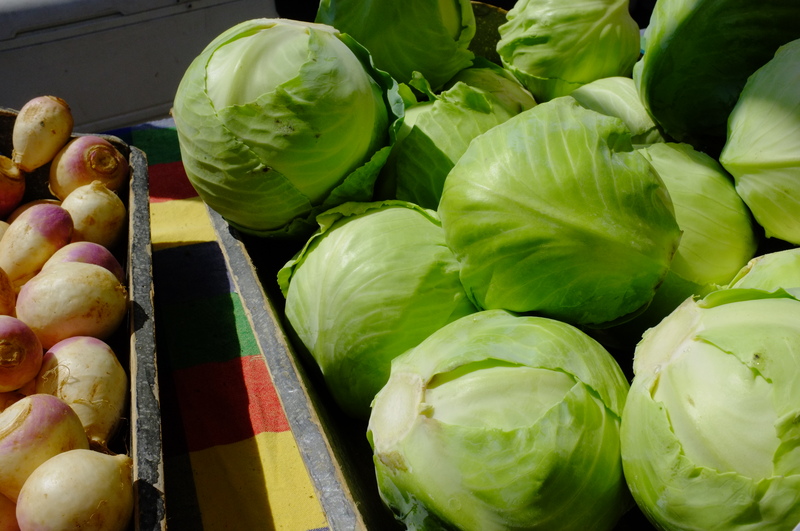 Serve with a side salad of Spring Mix or Frisee with a champagne or shallot vinaigrette and a poached egg topped with fresh ground pepper. Paris is where our journey begins. If you have ever set foot on French soil, you know it drips with love – love of people, love of culture, love of community. Most of all: love of food. 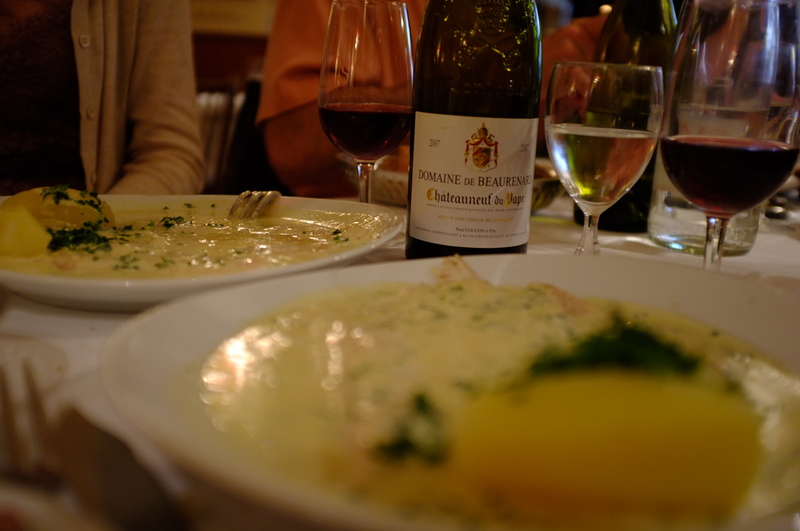 Sitting in my Washington DC apartment, I cannot help but remember a little cafe – Chez Renee – that my family stumbled upon on a side street in St. Germain on quiet breezy summer evening. Beginning with some hesitant French words that were as butchered as the Boeuf Bourguignon that would soon grace our plates and ending with countless bottles of wine amongst two tables that had merged between our American party of 3 and the Parisians to our left, we had perhaps the most memorable meal of our much anticipated trip. 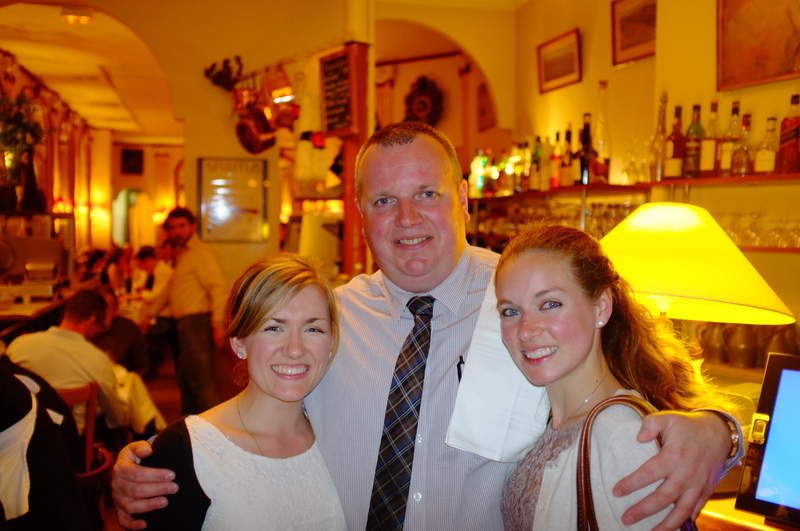 The food was unbelievable, the conversation invigorating, and the sense of community across two continents overflowed. So here I am. Inspired to explore the beauty and power of food. I hope you enjoy my kitchen musings, reviews of restaurant experiences, and handy kitchen and food finds.